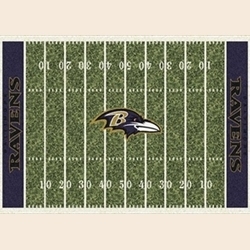 Be the Baltimore Ravens biggest fan and be a key player in kicking off the season right. 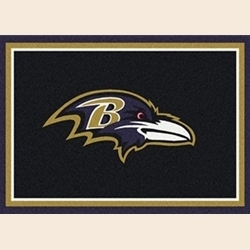 Support your favorite team with one of the latest designs shown on the left. Choose your desired rug design by first picking the size rug you desire, then the rug style from the Color drop down box. Custom made to order in the U.S.A. and ships within 7-10 working business days.